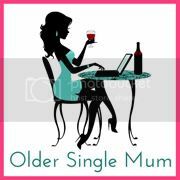 Older Single Mum: Still Laid Up! Seeing as I am still laid up, have gone back to keeling over a bit too regularly for anyone's liking and am really not up to much other than ploughing my way through lots of Bloggers' books (reviews to follow) I thought I'd re issue my old Diaries of an Older Single Mum, hopefully published in their own right when I get my arse into gear. Here's the first one - written a few years ago. It has been featured on the blog before, but not since the early days. Who can blame a girl? IT’S not what you expect – having a baby at 45. Neither is it what you expect to tell your husband you’re divorcing him, followed by such news. And that’s how it started. Nothing could change my mind. Matters would merely be delayed. Three miscarriages is enough for any woman to contend with. It would be foolish to risk a further one. This would mean having to put up with him for a while yet, as long as it was bearable. However it was not to be. Things would eventually and naturally prove intolerable. I was married but remember being basically a single mother for all the help I got. It was no major trauma when I became one officially. I think it comes as a relief ultimately, because you have no expectations and I guess, one day, you recover...?! Hope you feel better soon. 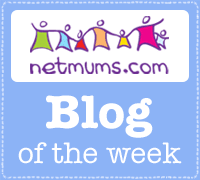 Am pleased you re-published this post as I was not a follower in the early days so missed it and I am enjoying catching up on your stories! Thank you for your good wishes - seems a long haul thing - not my style at all (apart from longhaul holidays - they're definitely my thing!). The point of re-publishing it was to catch people exactly like you! Cheers. That Daniel Craig pic is just the ticket for cheering us up on a cloudy Thursday. When that Bond film came out I took Noah to the cinema (they used to do Watch With Baby film every Friday at the Ritzy). Anyway, along comes DG in his trunks and I'm gone. My binocular eyes homed in on Dan the Man. Next thing I know a man (probably the only man) in the audience is politely tripping his way along the dark aisles with a small child dangling from his arms asking if he belongs to anyone as he has just rescued this poor little boy from the stage? Whoops. That's a fantastic story - I completely understand! Hilarious. A great read, I hadn't read this before. I love your little boy's comment that he loves you to the roofs of the buses and all over town. That's so sweet.